Jim Naughten. 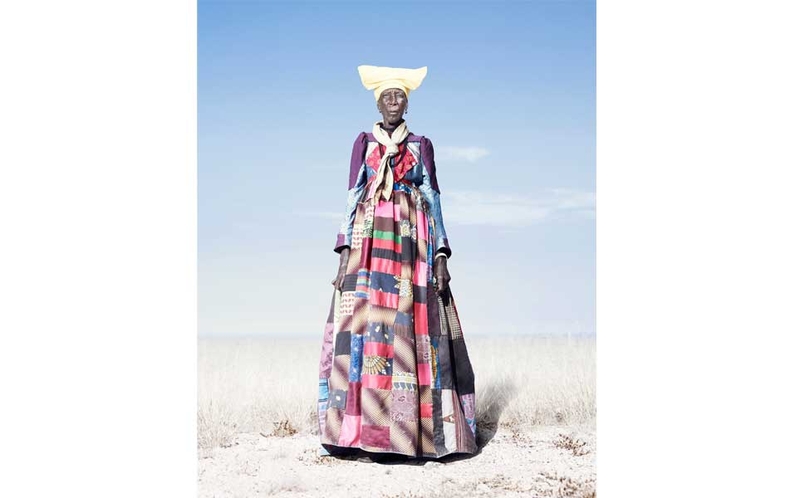 'Herero Woman in Patchwork Dress,' 2012. C-Type print. ©Jim Naughten. 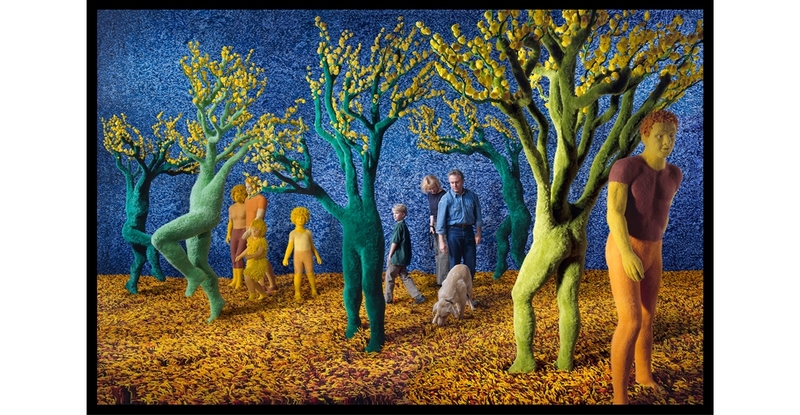 Image: courtesy of Klompching Gallery, New York City. Hear more about Cherye and Jim Pierce and how they started collecting from this blog post. 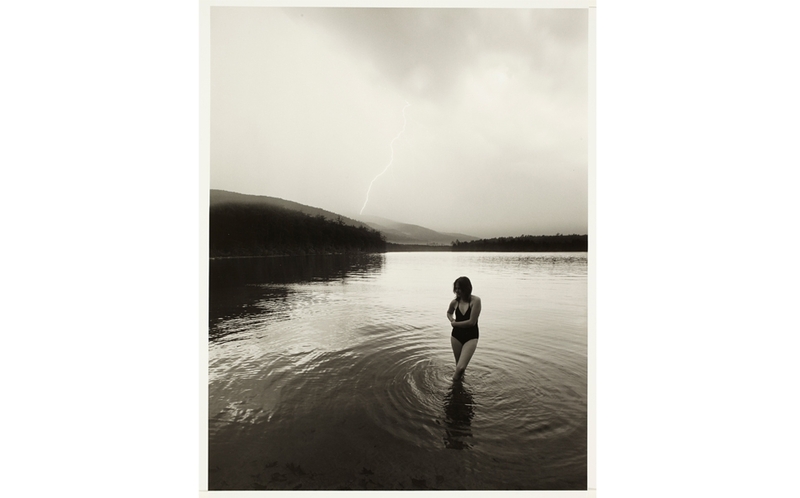 This exhibition is sponsored by Diane Chen & Jan Koch-Weser, Gary & Linda Goldfein, Elizabeth & Richard Grossman, James & Priscilla Growney, Stephanie & Sherman Hee, Julia Ing, Violet Loo, Judith Dion Pyle & Wayne Pitluck, Thurston & Sharon Twigg-Smith, and David Wollenberg. Funding is also provided by Linda Ahlers, Shirlee Albrecht, Margaret Armstrong, Deborah and Robert Atkinson, John Bullard, Chris Campbell & Peter Bihari, Paul & Ricki Cassiday, Shim Ching & Candice Naylor-Ching, Tim Choy, CKW Financial, Claire & John Falzarano, Carol Fox, Marc Goldman, Werner & Kathy Grebe, George & Cheryl Hetherington, Barbara Higgins, Ron & Sanne Higgins, Charles Holland, Claire & Larry Johnson, Lynne Johnson & Randy Moore, Stephan Jost & Will Scott, Jeanette Magoon, Ned Heindel Mobley, Robert & Linda Nichols, Maurice & Kathryn Nicholson, Sally Parker, Susan Shaindlin, Hans & Claire Strasser, Ruedi Thoeni & David Franklin, Al & Joyce Tomonari, Indru & Gulab Watumull, Sharon Weiner, Eric & Janet Weyenberg, Betty & Robert Ching Wo, Kathleen & Ronald Wo, Allison Wong & Thomas Daniel, and Linda & Michael Zoller.